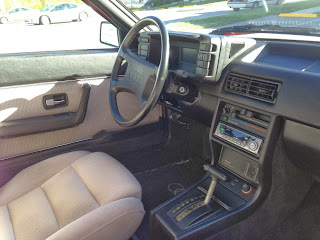 Although I have bought new, or near new, cars in the past (My 1987 Alfa Romeo Milano, 1982 Renault Fuego and 1981 Renault 18i among them), the Saab, being a 1997, is the most modern car I have ever owned. Except for a motor mount that went bad, it has been dependable. It starts runs and drives as well as any modern car. I have an everyday car with personality and, best of all, I have no car payments. 1993 BMW 525iT - I love the looks of the E34 cars. BMW just got it right, especially with the wagon. It looks sleek, but purposeful. It looks substantial, but light. There really isn't a whole lot that goes wrong with an older, well maintained BMW. The 2.5 liter 6 cylinder engine is silky smooth and, with regular oil changes, will run forever. Brake rotors tend to warp and need to be changed when you do the pads (probably not a bad idea even if they didn't tend to warp). In my E36, the little resistor that controls the fan speed quit about once every two years, but it's cheap and easy to repair. I've been told that the E34 has a similar problem. 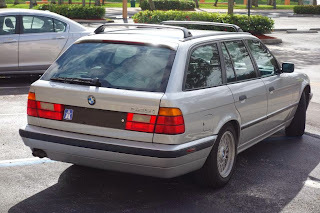 The one common issue the E34 wagons have is with the sunroofs. Not too surprisingly, they are not working on this car. It's a labor intensive repair. If you don't care about having a sunroof, don't worry about it. There are cheaper E34 Tourings available. 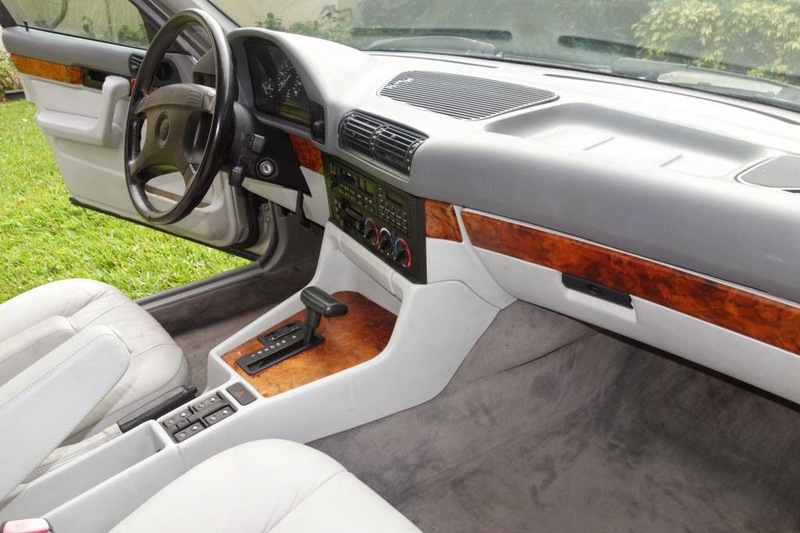 However, this one, with it's new paint, service history and low miles, might be worth the extra money if you plan on using it as your daily driver. 1986 Audi Coupe GT - I wish I had bought one of these back in the day. In the early 1990s, they were selling for next to nothing. 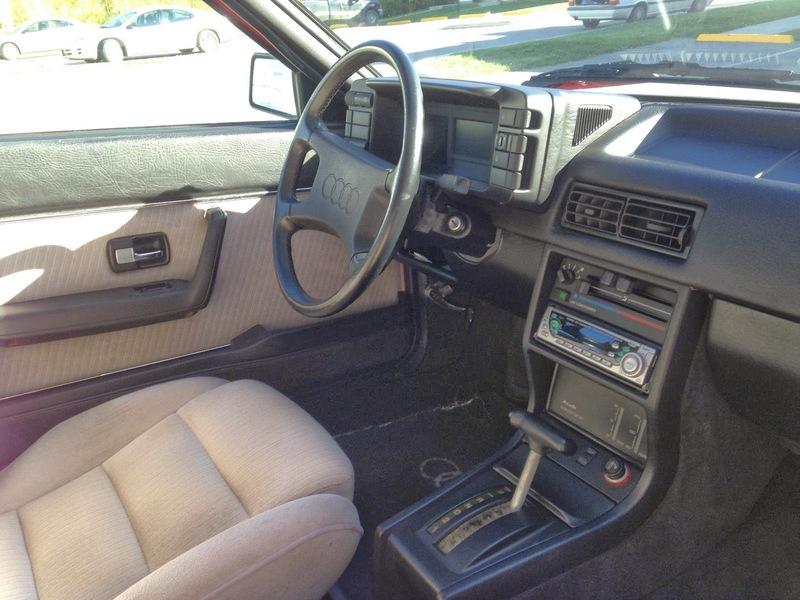 The false "unintended acceleration" reports regarding the Audi 5000 killed the resale value of all Audis. The Coupe GT was essentially a cheaper, decontented version of the incredible turbocharged, four-wheel drive Quattro. 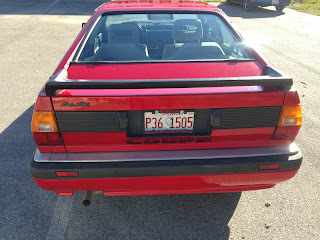 The body was the same, except for it not having the Quattro's fender flares. The engine was Audi's fuel injected, 110 HP, inline 5. These cars are not as trouble free as the BMW above, but with religious maintenance, they will serve you well as a daily driver. The 5 cylinder engine has been known to have head gasket issues, but maintaining the cooling system will most likely prevent that. The automatic transmissions can be trouble prone, but again, strict maintenance seems to be the key to a long life. The most common problem seems to be with some of the electronics. There's not much you can do to prevent them from happening, but most will not disable the car and parts are available. 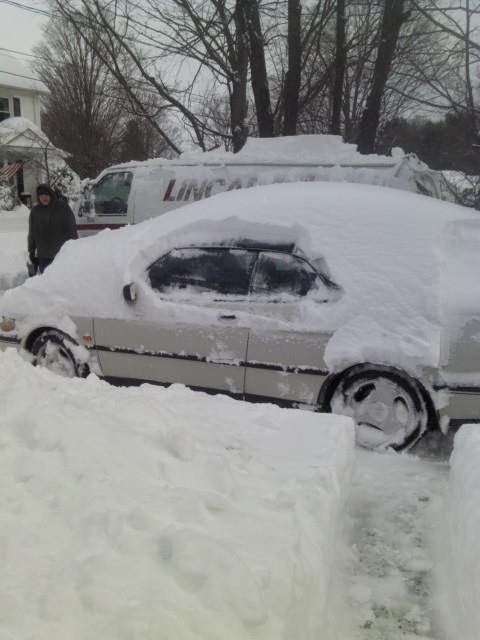 This car has had four owners, including a VW / Audi executive and an Audi mechanic. It has been well maintained. It needs a bit of minor work, including a new CV joint. It has just 93,000 miles on it. It looks great in red. In terms of overall reliability, the BMW above is a better choice. But, if you don't mind tinkering with your car now and then, and want to drive something very unique - When was the last time you saw one? 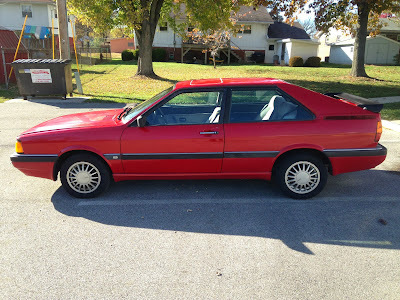 - this Audi Coupe GT might be a great choice. Located in Alton, IL, click here to see the eBay listing. I use to buy my Saab, Audi and Volvo parts from a place called SAVE auto but I can't find their number. It's been a couple years since I've had a Saab. 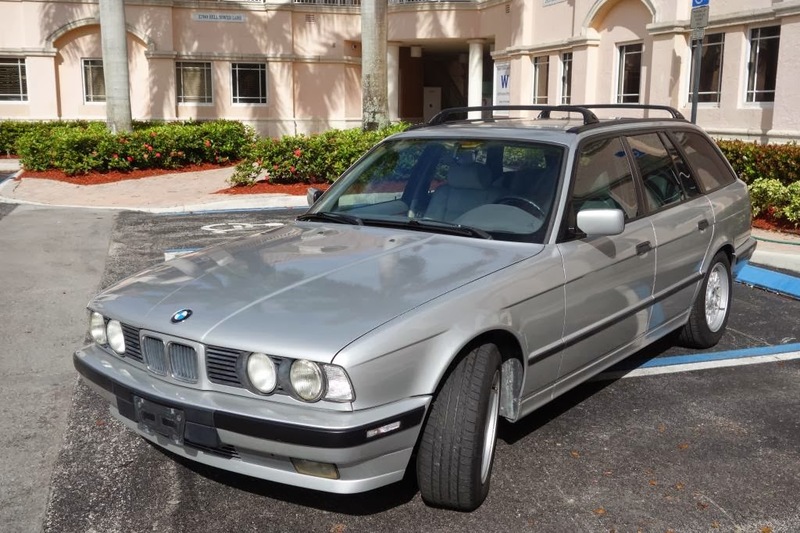 I love the BMW, I've considered getting a 90's 3 series wagon a few times, but they are usually in Florida for some reason. It would take a lot to make me want the Audi though! my first sports car was a 66 alpine; I bought it after my first car which was a 63 land rover 88. At 59 year old I just blew the reverse gear on my 93 saab 9000. What is wrong with me/us???????????????????? I'm so excited you featured the coupe gt. I've owned 2! And daily drove them both. The first a 1981 first year black with gold pin stripe, brown leather and a bunch of unique early 80s add on. The car I wish I kept. Kamei x1 body skirts, gold bbs alloys, removable stereo with a handle, sunroof....sigh. It seemed to go to a good home. After loving it, I had decided to find the cream of the crop. The 1987.5 special build coupe gt. A much sportier version and better daily driver. Color matched mirrors, rear spoiler, digital dash, 4w disc brakes, and most importantly the new 10 valve 2.3 ng i5 engine. Drove it for years and loved it. Quirky, comfortable, easy to drive, fantastic gear box, and classic euro lines I still love. Wish I could submit a picture. You've tugged my heart strings this morning.